I'm so excited summer is here - I love spending the days with all my babies in the pool, library and dollar theater. I don't love turning on the oven! In our new home, we don't have air conditioning (yet) and I try to keep the oven use to a minimum. But I'm a baker and we love cookies. What to do? I wanted to try my hand at edible raw cookie dough. I love cookie dough! Cookie dough ice cream, frosting, brownies - you name it. Something about the creamy sweetness with chunks of chocolate. There are so many fun things you can create with it.. or you can eat it out of the bowl with a spoon. It's super easy to make with only a few ingredients. But is it safe? While this recipe is egg-free, believe it or not, but what you have to worry about is the raw flour. There can be bacteria in the flour that we don't typically encounter because we bake what it's in. So how can we use raw flour safely? It needs to reach a temperature of 160 to be used in raw foods. I microwaved mine for 75 seconds in 15 second intervals and it worked great! This delicious raw cookie dough is easy and perfect! A wonderful addition in ice cream, frosting and more. In a medium sized bowl, combine flour, sugar, vanilla, cream and butter with a fork or pastry cutter until the dough forms. Add chocolate chips and stir until well combined. Dough can be refrigerated for a week or frozen for a few months. It makes a perfect dozen cookie balls with a cookie scooper. *Flour needs to be cooked in the microwave or oven till it reaches a temperature of 160 F. If you are pregnant or immune compromised, please seek the medical advice of your doctor before consuming any raw food. 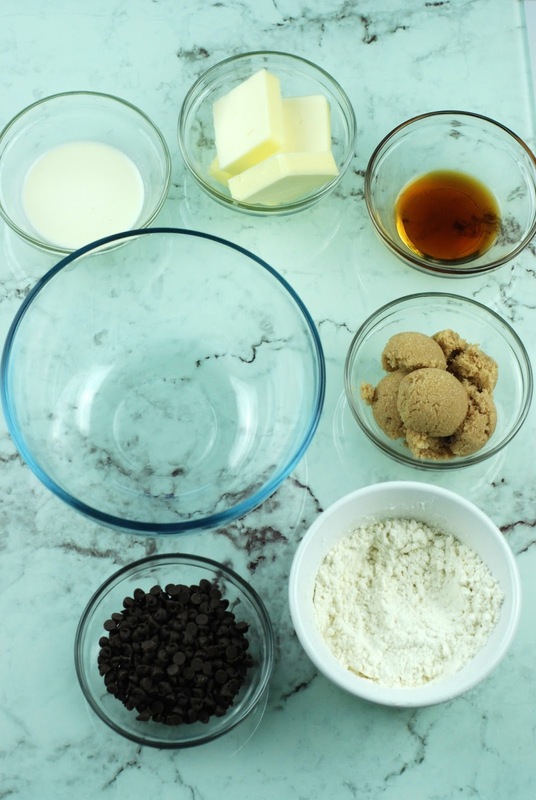 Want to see how quick this delicious cookie dough batter comes together? 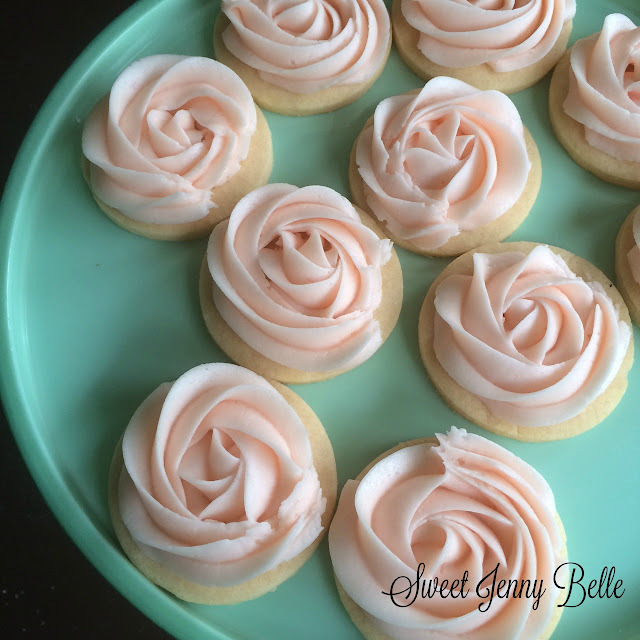 Click on the YouTube video above and learn how to make this treat in 5 minutes or less! I can't wait to make more variations on this recipe. Maybe a pumpkin spice dough that can be used in chocolate covered bonbons for autumn? These are quickest, tastiest desserts ever! I have some big plans for how to use them in a summer treat, so I hope you come back soon. 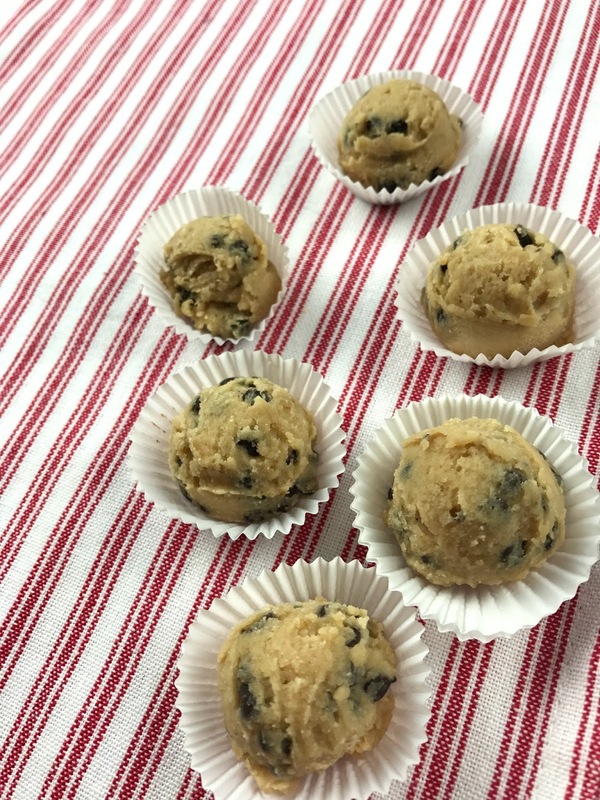 If you try these raw cookie dough balls, please let me know how you like them and what you used them in. Pst! 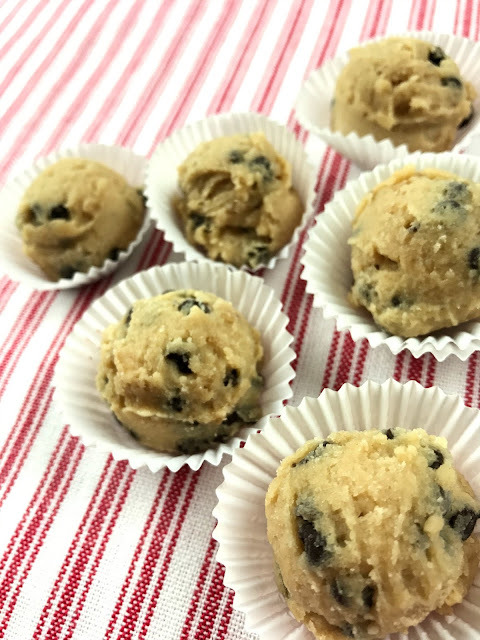 Are you looking for a roll-out cookie dough recipe? Come try my Cotton Candy Cookies! I feel so hungry after looking at this! This looks so delicious. Thank you for these amazing recipes. i will definitely be using them for my nephews birthday next weekend. Thanks! It sounds so fun to make. Thank you for sharing the recipe!